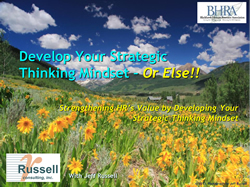 Pecha Kucha Presentation: Getting to the Top in Business – Russell Consulting, Inc.
PechaKucha: Getting to the Top in Business — and Staying There! - On a chilly February evening, Jeff presented his fast-paced program getting to the top in business and what it takes to stay at the top to a crowd of 250 people attending PechaKucha Night Madison. Pecha Kucha is a wild and innovative presentation format: 20 slides, 20 seconds each, for a total of 6 minutes and 40 seconds on a cutting edge topic. 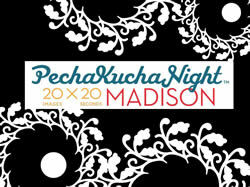 Jeff shared PechaKucha Night Madison’s stage with seven other presenters. It was an exciting night! Check out the link (PechaKucha: Getting to the Top in Business) for a PDF version of the PowerPoint slides. You can also listen to the presentation by visiting the international PechaKucha website here: PechaKucha Website – Getting to the Top! For more information about our workshops, contact RCI.